For seven years I wrote a column for the Poughkeepsie Journal Living & Being magazine called "The Holistic Guinea Pig," as an experiential journalist. For a number of years I had been attending a Macrobiotic Cooking Class run by Kathy Shelden in Kingston. I loved the food, but hadn't changed my at-home-diet much. Then, in an effort to eat more plant-based, in 2012, I decided to work with vegan gourmet chef, Roni Shapiro of Healthy Gourmet to Go and write about the experience of being vegan for one month. At the time, I was just doing this for the article and had no intention of giving up meat permanently as I was already medically gluten free (I have Celiac). I just wanted to eat less meat. I even told my husband there was no way I was going to be vegetarian because I was already eating a restricted diet and was not going to complicate things even more! But as part of my immersion experience, I also attended a film sponsored by the Hudson Valley Vegans called, "Vegucated" and was very moved. Then I watched a few of the other documentaries like "Food, Inc" etc. and realized I could NEVER eat meat again. Plus I found I loved the vegan food Roni supplied. cooking and eating? Were there any particular inspirations? (books, films, people, etc) that either inspired you, or helped to guide you in transitioning? By the end of our month of vegan home delivery, my husband and I both had read enough and seen enough documentaries (we saw them in the right order to be able to take the information in without closing our minds to what we were seeing), that we decided to stop eating meat and became pecetarian (vegetarian but still eating seafood). This made going out to eat and traveling (which we loved to do) easier. To seal the commitment, we spent a weekend at the Catskill Animal Sanctuary, which I also wrote about. At the end of the weekend, my husband declared he could never eat anything Kathy (the owner of the sanctuary) could kiss (she kissed all the animals). In 2016, I was diagnosed with breast cancer and I was mystified. I was the holistic guinea pig! I did everything right! Why did I get breast cancer? I attended a breast cancer weekend at the Kushi Institute for Macrobiotics and discovered the link between dairy and breast cancer, so I gave up dairy and eggs. I felt so much better! Even during my month of radiation! But I was still eating seafood. Then one day my husband and I were at a restaurant eating a salmon and my husband said, "I feel like I am eating flesh." We looked at each other and said, "Let's go completely vegan." That was early 2017. I have "cheated" three times at restaurants where an old favorite was featured and there was nothing else but a salad and I was hungry. Each time I was completely disappointed by the essentially tasteless brown thing on my plate and I felt bloated and gross after eating. My taste buds have completely changed. Now I crave the color and variety of plant-based food. 3) If someone new to to being vegan asked for advice on how to get started, what would you suggest to them? Watch every documentary available (most can be had from the library) to steal your resolve and join the Hudson Valley Vegan Society to find like-minded people who eat like you. Gift yourself with Roni's home delivery to ease the transition and google vegan blogs and recipes. You will be delighted at how much more flavorful your food becomes! I thought I could never give up cheese but once I did, I found I felt SO MUCH BETTER and there are a ton of non-dairy cheeses available. For travel, there is an app called Happy Cow that can locate vegan friendly restaurants where ever you are. 4)Tell us bit, if you don't mind, about the veganism and /or health-related writing you have done. As an experiential journalist, I was able to experience and write about things that most people just wonder about. Many of the holistic practices I experienced were amazing, but discovering veganism was life-changing. 5) We'd like to hear a bit about the community groups you are involved with in the Capital Region/ Hudson Valley region. I just formally joined the Hudson Valley Vegans after attending and enjoying many events. I am now a personal advocate for veganism. 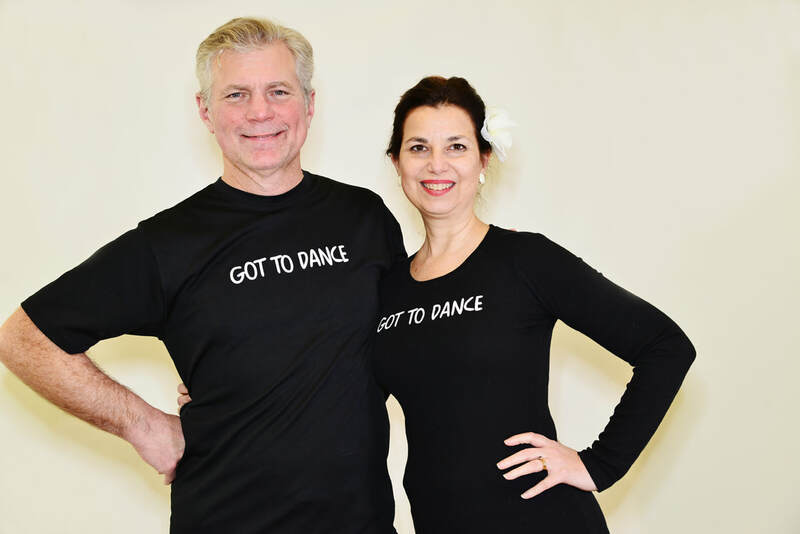 My life choices: to be a writer, swing dance teacher and yoga instructor, put me in the public eye on a continuing basis and everyone knows I am vegan. At our dances and everywhere I go there must be vegan options. 6) I never stop enjoying, hearing about and sharing yummy vegan food dishes and recipes or pantry ideas .... What are a few of your favorite vegan dishes..both to prepare and to eat.. Karma Road is our local go-to place, and our worth-the-drive place is Rock da Casbah in Saugerties and the Garden Cafe in Woodstock. The Thai restaurant in Rhinebeck is where we always eat after a movie at Upstate Films. They can even do vegan Thai iced tea. The Rosendale Cafe is where we always eat before a movie at Rosendale Theatre. Bliss Kitchen in Newburgh has an amazing lunch buffet that is often all vegan. 8. What other interests do you have or hobbies are you involved in? I am an award-winning poet and short story writer (my husband and I both have MFAs in writing from Bennington College where we met) and I am searching for the right agent for a young adult novel. 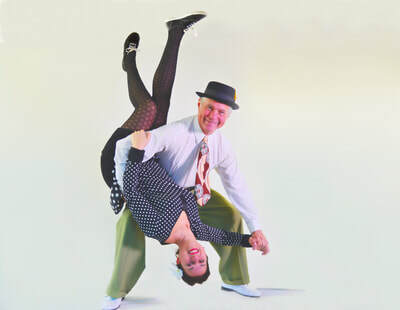 I was a corporate communications executive with global responsibilities until 2004 when I gave it up to teach swing dance (www.got2lindy.com), yoga (www.blissbodyoga.com) and write full time. In 2017 I launched a new business called Create Your Life Workshops (www.createyourlifeworkshops.com). As a result of taking the leap from the corporate world to the entrepreneurial world, we have enjoyed the great reward of literally transforming the lives of hundreds of people who have taken our classes and workshops and enjoyed the freedom to teach and travel from Singapore to the South Pacific to Sydney. ​Could you tell us where your interest in veganism began? *Sure! Ten years ago I was diagnosed lactose intolerant. While I was searching the web for ideas and recipes on how to live without cheese and ice cream I stumbled upon the movie Earthlings. WOW! It took me three separate attempts to watch the movie in its entirety but I did. And afterwards I threw out all animals products in my kitchen. *No transition. Earthlings made me an instant vegan! What comes to mind when you think of animal rights/ activism for animals? *Compassion. We all have it and we all believe that animals do not deserve to be abused. We just need to connect the dots to include ALL animals, not just the ones we deem as our “pets”. If someone new to to being vegan asked for advice on how to get started, what would you suggest? *Find a vegan support group-it greatly helped me to know and be around other vegans. Read everything you can about veganism and about animal agriculture. Stock your kitchen with vegan essentials and learn to plan ahead when attending social functions that are not vegan events. We'd like to hear a bit about the community groups you are involved with in the Capital Region/ Hudson Valley region.. I see you are involved in activist and support groups. *I am the VP of the Albany Vegan Network. We’re gearing up for our 10th vegfest on June 2nd at the Polish Community Center in Albany and our 2nd National Animal Rights Day on June 3rd. I am the Albany Chapter Organizer for Anonymous for the Voiceless. We use street activism through outreach and video demonstrations to raise awareness of the cruelty of the meat, dairy, and egg industries. I am the founder and president of the Albany Vegan Lady Gang. We are a gang of vegan ladies who support and uplift one another. We do dinners, coffee, and social events together, volunteer at local animal sanctuaries, and attend protests. In addition to being a licensed massage therapist, I also work on a christian vegan animal rights website, all-creatures.org. What are a few of your favorite vegan dishes..both to prepare and to eat? *Ah, I love food so much more since becoming vegan! I feel lighter eating it, the food tastes more flavorful, and I enjoy cooking vegan food so much more! Some of my favorite are vegan pizza, tofu scramble, zucchini noodles tossed in fresh garlic, EVOO, grape tomatoes, sea salt, and cracked black pepper, and sauteed peppers and onions over red quinoa! Any restaurants you would recommend in our area that are vegan friendly? *There are more and more restaurants making vegan options available but when in Albany, vegan owned and operated Berben & Wolff’s and when in Woodstock, vegan owned and operated The Garden Cafe are musts! ​We appreciate getting to know you a bit more. Thanks so much Kimberly. *Thank you, it’s been an honor and pleasure! We are happy to get to know one of our members, Chef Drake Page. In January, I had the chance to talk to Drake. He has catered some fantastic in-home, private, gourmet vegan meals for our group. He is also the director of the DPchutney supper club https://www.dpchutneycollective.com/. This Hudson Valley club offers both gourmet, multi-course intimate in-home catered meals, and cooking classes. Thank you for talking with us Drake! ## Could you tell us what sparked your interested in vegetarianism/veganism? While I certainly enjoy the health benefits and positive environmental impact of a plant-based diet, my primary motivation to be vegan has always been a concern for the welfare of animals. Waking up to the plight of these creatures living and dying in factory farm conditions was a life-changing moment to me; it informs every decision I make about what I choose NOT to eat. ## You made quite a notable change in careers. If you don’t mind sharing a bit, what led to that? I worked for 11 years, until 2010, doing PR for the hedge fund and private wealth management industry. When I was eventually laid off after the 2008/2009 financial collapse I was blessed to receive a severance package which helped me start a micro-business called The DP Chutney Collective, making and distributing small-batch, artisanal condiments. That in turn led to catering and working as a private chef and teaching cooking classes. Basically, I just didn't know what to do next after losing my job in financial services so decided to follow my passion for food and see where I landed. Oh sure. I became vegetarian at 18, then a few years later vegan. Then, sadly, I fell off the wagon and spent a few years incorporating some meat and dairy in my diet. Eventually I realized that these choices weren't compatible with a) what my heart was telling me and b) the person I hoped to be and the Change I hoped to represent. It's a personal choice and every one arrives at it differently. I'm always disappointed in vegans who criticize or judge those people who haven't fully committed to the lifestyle yet. Every single meal anyone ever eats that is free of animal products is a small victory for all of us - humans, animals and the planet. ​## Was there a transition time for you from meat-centered to plant-centered cooking and eating? Any particular inspirations? If I had to name one source of inspiration it would be the book Animal Liberation by Peter Singer. And I guess also the song "Meat is Murder" by The Smiths. I'm serious! ## Could you tell us a bit about any particular cuisines that you find the most interesting cuisine? Without a doubt Indian cuisine is my favorite, the one cuisine I've studied and practiced and cooked the most. I love of course its vast array of vegetarian dishes and the wildly different styles of cooking across the subcontinent. I've taught at Brooklyn Brainery a dozen or so classes in regional Indian cuisine - everything from the food of Kashmir to Rajasthan to the Himalayan Rim to Bengal to neighboring Sri Lanka - and they're all so varied in the ingredients used, methods of cooking, spices employed. I'm also passionate about Middle Eastern food and the cuisines of south east Asia, Vietnamese and Thai in particular. It's always an enormous treat to have Ethiopian food but it's soooo difficult to prepare at home. ## What are a few of your favorite vegan dishes..both to prepare and to eat.. Also... are there any particular environments or situations that you enjoy catering for? So many favorites . . . it's almost impossible to choose even a few. If I'm cooking/eating Indian food I think a delicious dal/dhal is an important cornerstone of the meal. It can't be too watery or bland, not the sort of after-thought of a side dish it so often is at less-than-terrific Indian restaurants. I make it sometimes with masoor dal (split red lentils), chana dal (yellow split peas/chickpeas), urad dal (white split lentils) but I'm partial above all to moong dal with spinach, seasoned with black mustard and cumin seeds, curry leaves and sliced chilies. Favorite dishes to prepare often fall in the category of Quick Weeknight Meals, for me at least. Things that are simple and fast but still delicious - Roasted Cauliflower Steaks, Gazpacho, Nachos, all sorts of homemade pizzas and flatbreads. I love cooking for clients, friends (old and new) and family. As long as I'm doing that I'm happy, no matter when or where. I've prepared meals and taught classes at a yoga studio in Greenpoint, a wine bar on the Upper West Side and at large food conventions. It's always a blast. ## Could you tell us something about your animal companions...some of us have met them at your house. ​The loves of my life are my son Lloyd (a kitty) and my daughter Arabella (rescue pit bull). I wake up to their beautiful faces and personalities every morning and end each evening the same. Those two are my inspiration for just about everything. Oh, and p.s., they adore everyone they meet so come on over and say hello!